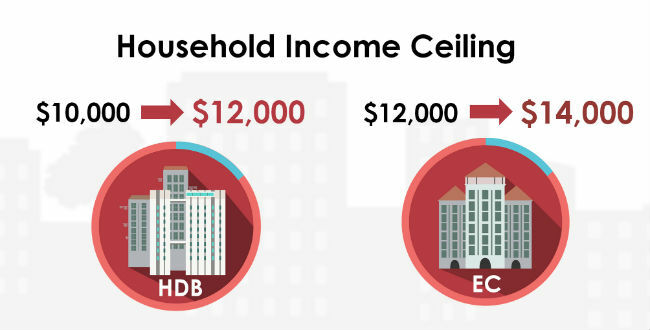 Executive Condominiums or HDB Executive Condo (EC) is hybrid of public housing scheme to cater for the Singapore rising aspirations to live in private properties. Developed and sold by private developers, executive condominiums combine the elements of private and public housing and are comparable to, if not better than, the designs and facilities of private condominiums. In fact, executive condominiums are priced more attractively than similar private condominiums in similar locations. The applicants’ average gross monthly household income ceiling has been increased to $14,000. On top of that, applicants who meet the eligibilities may even enjoy housing grant of up to $30,000. Moving forward, executive condominiums are poised to do well because of their intrinsic values and subsidies as compared to private condominiums. Twin Fountains Woodlands Avenue 6/ Woodlands Drive 16 Opal Star Pte. Ltd. & Binjai Holdings Pte. Ltd.
Bellewoods Woodlands Avenue 5/ Woodlands Avenue 6 Qingjian Realty (South Pacific) Group Pte Ltd. The Terrace Punggol Drive/ Edgedale Plains Peak Square Pte. Ltd.
Westwood Residences Westwood Avenue Changi Properties Pte. Ltd. & Heeton Homes Pte. Ltd. The Brownstone Canberra Drive Verwood Holdings Pte. Ltd. and TID Residential Pte. Ltd.
Sol Acres Choa Chu Kang Grove (Parcel A) MCL Land (Brighton) Pte. Ltd.
Sol Acres Choa Chu Kang Grove (Parcel B) MCL Land (Brighton) Pte. Ltd. The Criterion Yishun Street 51 Verwood Holdings Pte. Ltd.
and TID Residential Pte. Ltd.
Another unit just sold at Treasure Crest! The unit just sold for this executive condo is: 12-06 Enquire now for the Treasure Crest prices and booking details! Enquire/ Request for Floorplans Now!